Red Roof Inn is renovating all of their inns nationwide This location now features redesigned rooms with more comfort and added amenities. 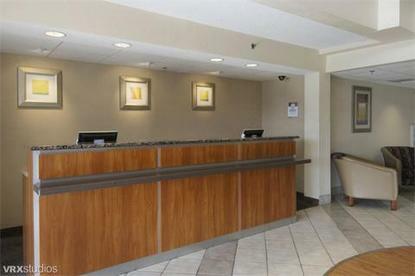 All rooms at this Red Roof Inn offer T-Mobile high speed internet access (daily fee may apply). Featuring convenient access on and off of I-35, the Laredo Red Roof Inn is within 1 mile of Mall Del Norte shopping center and a wide variety of restaurants. This Inn features 150 guest rooms with data ports and an outdoor pool. Experience our coffeehouse-style service featuring fresh brewed, ground whole bean coffee.